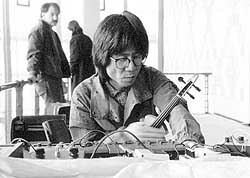 On May 10th, 1986 Takehisa Kosugi was invited by Kunstverein Giannozzo and improvised playing his violin and his self built electronic instruments. The sound recording was published by Edition Giannozzo Berlin, 1986, recorded by Hans Peter Kuhn and Johannes Schmölling. 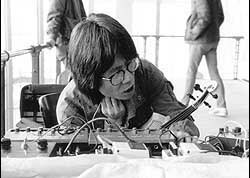 The Art Association Giannozzo Berlin published the book Berlin Events by Takehisa Kosugi. 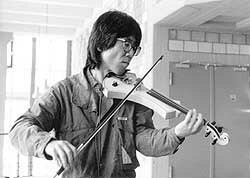 further information on Takehisa Kosugi.